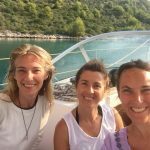 A week-long sisterhood journey aboard a sailing vessel in the Zadar Archipelago on the beautiful Croatian Adriatic. Throughout the journey you are supported and held in the energy of Love, while you connect with the healing, nourishing, and empowering Sea Goddess energies within and around you. Sea Goddesses Journey is a strong initiation into the power of your heart and is designed to help you take steps to create a life your heart truly desires. 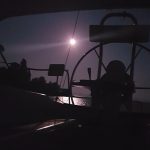 Learning skills and deepening confidence to think and act independently on a boat, while at the same time dropping into your heart to listen deeply to your own wisdom, is a powerful combination for truly taking charge of your life, in the way that reflects your greatness. No experience on boats is necessary. The only requirement I have is that, as you journey across the sea, you allow yourself to also journey within and experience the unfolding of the journey. If you feel a deep longing for the sea and words Sea Goddess resonate with you in ways you can’t fully describe, you may wish to trust the Sea Goddess within to lead you where you most want to be. 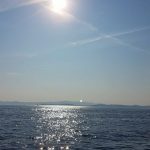 If you desire to live from your heart, wish to heal at a very deep level, to live in the fullness of your being, and share your own special gifts with others, join us on next May for your amazing Sea Goddesses Journey. Our journey will take place on a 34-foot sailing boat. 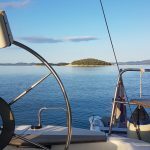 The boat will be our home for seven nights, starting in Zadar, Croatia, journeying through the central part of the Croatian Adriatic, and back to Zadar. The emphasis is not on miles covered but on what we learn on our journey, how we grow, heal, and transform. Single or shared cabins aboard a 34-foot sailing vessel. 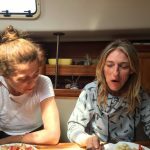 To share a cabin on a 34-foot sailing boat means to be in quite close quarters with another woman. If you feel you need your own space, a single-cabin option will be best suited for you. The boat offers one front cabin, and two aft (back) cabins, one head (bathroom), a galley (kitchen), and salon. We allocate the accommodation on a first-come-first-served basis. *Your investment includes tuition, food, fuel, and accommodation on the boat. 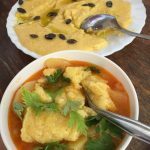 It excludes special dietary needs, and travel costs to and from the venue. A discount of $100 for bookings made and paid in full by March 17th 2019. A non-refundable deposit of $160 is due once your application has been accepted. An additional payment of $1500 (single cabin) or $1100 (shared cabin) should be made by May 3rd 2019. These figures are reduced by $100 if you are entitled to an early-bird discount, i.e. if you’ve made a booking and paid a full amount by March 17th 2019. The sea is calling… the sea is waiting… for you! 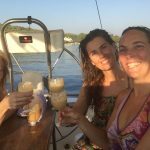 The Sea Goddesses Program is NOW ACCEPTING applications for the Sea Goddesses Journey May 2019. To start the application process send Branka an email to seagoddesses@brankavalcic.com or click on any of the green buttons on The Sea Goddesses Program web page and message me through the contact form. Let me know what your questions are and why you are interested in this journey. I will get back to you with answers to your questions and an application to fill out. I am so excited to journey with you! My beautiful Branka Valcic, my shining Goddess through which flows the energy of the most sublime Mother Mary, Saraswati, Lakshmi, Mother Earth, every mother, every woman, every Goddess. Branka’s presence gathers those who are creating a new circle, the unstoppable power of a woman… stopped long time ago, now is free. 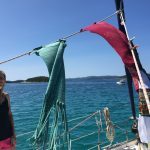 Branka Valcic, PhD, founder of The Sea Goddesses Program, is a certified skipper with more than twenty years of boating experience, both in the Croatian Adriatic and in the North Atlantic off the coast of Scotland. 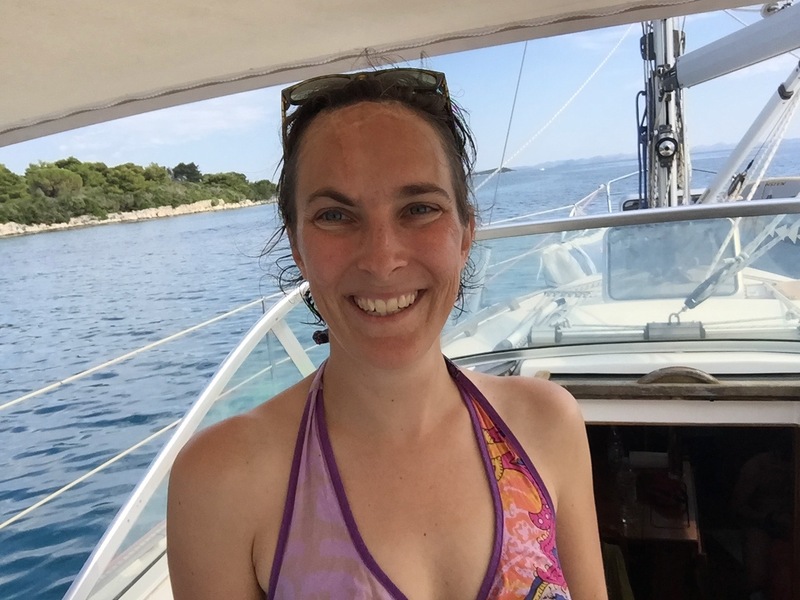 She has spent months at a time on board a sailing vessel with her family and alone. 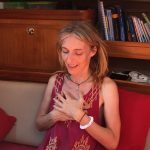 Branka is a spiritual healer and lightworker. She is the author of a beautiful novel called The Lady of the Sea. Her soul vibrates with the Sea.